“A man never stands as tall as when he kneels to help a child.” – Anonymous Do you turn a blind eye when you see a child struggling? Do you rather drive away when you come across a youngster walking next to the road, wearing torn clothes and no shoes, while it’s ice cold outside? 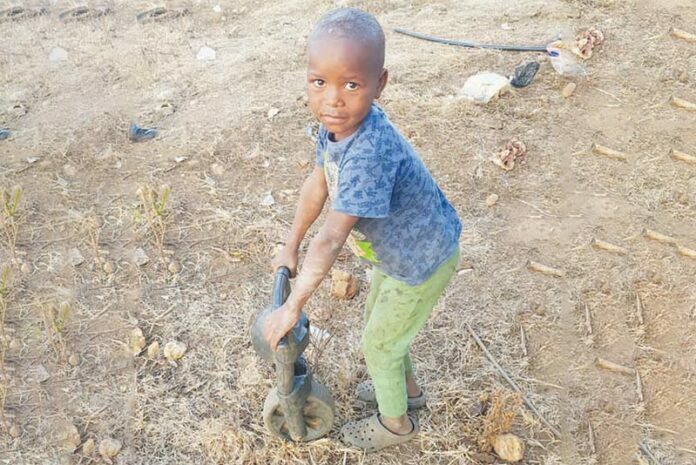 A man saw this boy on a farm as he was passing by last week and noticed him playing with his “bicycle”. When he looked closer, he saw that the “bicycle” was way past the “expiry” date and it only consisted of the handle bar and front wheel. 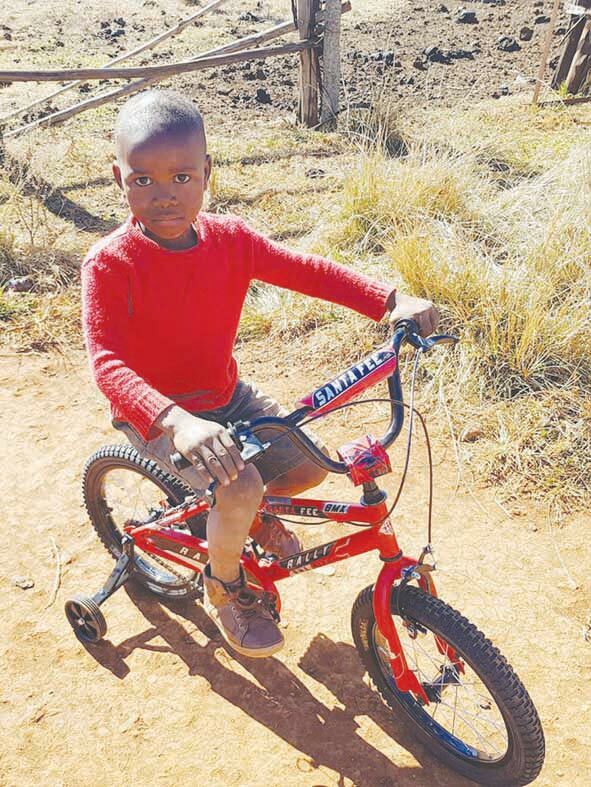 The child did not complain as he continued to “ride his bike” with a huge smile on his face. The man decided to do something about it and went to buy the young boy a brand new bicycle! On Monday, 18 June, the man delivered the bicycle to the boy. The boy’s reaction was priceless! No money in the world can buy the happiness that the child felt as well as the joy it brought the man who gave him this precious gift. Please reach out to someone less fortunate than you. They are all around us. Daily we come across people struggling to try and make it through the day. You can be someone’s angel if you open your eyes and reach out!